On March 1, 2018, we will experience a Full Moon in Virgo at 11 degrees. This full moon is referred to as the full “worm” moon as the earthworms start to make their appearance which will be a welcoming sight for the robins soon to make their spring return. The full moon is also referred to as the full “crow” moon as the caw of the crows will echo in the trees signaling the end of winter is near. One more noteworthy name for this full moon is the full “sap” moon which is quite self explanatory. 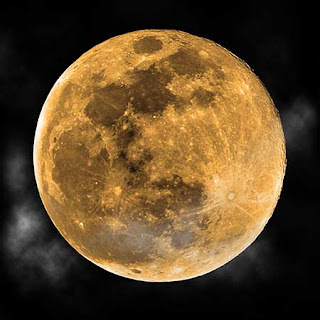 As many of you know, the Full Moon is the time to harvest whatever seeds we planted, particularly those seeds planted under the influence of the New Moon (in Virgo) some six months earlier. This is the time when we reap the rewards of our efforts. If we were diligent, we will be rewarded for the job well done or we will be settling for something less because of an effort that fell short of what was needed. Virgo (the current full moon sign) deals with putting life in order and organizing all the little intricacies that come our way. Virgo wants organization and structure. We filter through life’s conditions, make changes necessary so that life flows more smoothly, analyse what we will need to do with these alterations and equip ourselves with what suits us best for this particular moment in time. Sometimes we work towards the betterment of conditions yet to surface and other times we focus on creating order and even perfection in our affairs. 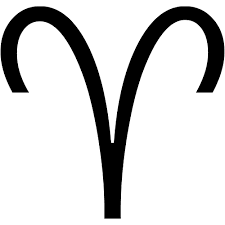 Virgo is a very organized sign and if things are not in their place, it is often an indication that life needs some re-vamping. We need to address what needs adjusting and organize our lives so that everything flows more easily. Having an honest look at our lives in the moment will help us understand what we need to put in place (both within ourselves and for our external life conditions) to move in an appropriate and more beneficial direction. Currently (March 2018), transiting Neptune is in opposition to the Full Moon. This often indicates that affairs are not in order, or there is some confusion that is making things seem unclear. This could refer to other people, as oppositions always involve other people in our lives. Checking the house position of both this lunar positioning as well as transiting Neptune in your personal chart will help uncover who this individual might be. Always look to the house position to find out which area of life is involved. Check your natal chart as well as your solar return for a clearer understanding of what energies are at work. Also, it is important to understand that unless you have other factors in your chart close to the 11 degree mark, especially by conjunction, this Full Moon may go by with little to no influence being noticed or felt by you. The more planetary aspects or important angles involved in the equation, the greater the influence of the energies of this Full Moon in your life. Please note that Virgo is the sign of detail and also of service. Do not spend too much time analysing yourself, as you will focus on many flaws that are undoubtedly not as significant as you may currently feel that they are. Instead, have a look at the positive characteristics you possess as well as all of the positive energies in your life. Focusing on these positive matters will bring more positivity and gratitude to the forefront.